ID for dragons in southern Eyre Peninsula, South Australia? I spent the month of October herping in Australia. Eventually I'll get around to writing up an account of the month, but first I have to finish identifying the critters I found. Some lizards I saw in the south part of the Eyre Peninsula are currently blocking this goal, and I hoped someone here might be able to help. Here are photos of four individuals. The first two pictured were in Kellidie Bay Conservation Reserve (by Coffin Bay, west coast of peninsula). The latter two were in Lincoln National Park (east coast of peninsula, but not too far away). All were small, around 6cm SVL. All were on the ground, in areas with many loose rocks, and when spooked would run very quickly to and fro until they found a rock to scramble beneath. When uncovered they would often have their tails tightly curled. The third one is so fat that it looks gravid, but maybe it's just fat. I saw the pictured individuals and a few more; all were about the same size. My best guess is that they are all young Peninsula Dragons (Ctenophorus fionni). 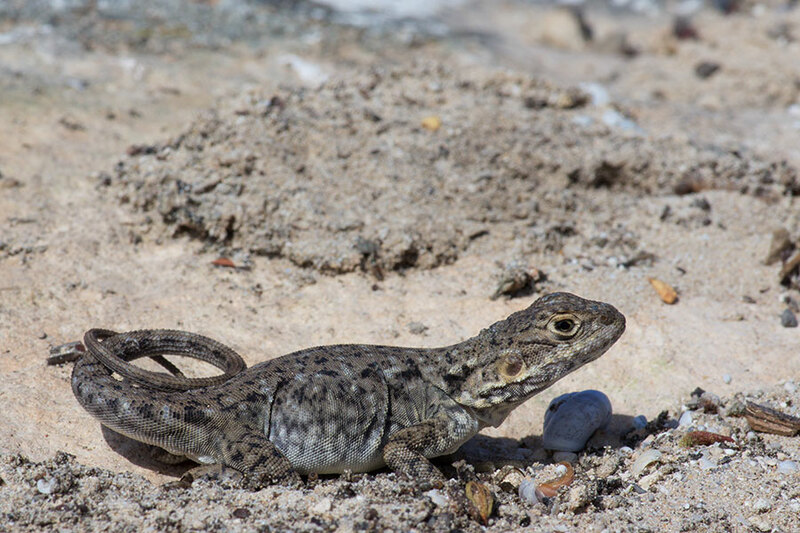 But I'm not confident, because the only other Ctenophorus fionni I saw (elsewhere on the Eyre Peninsula) were much larger and differently colored, apparently preferred different habitat, and exhibited different behaviors. 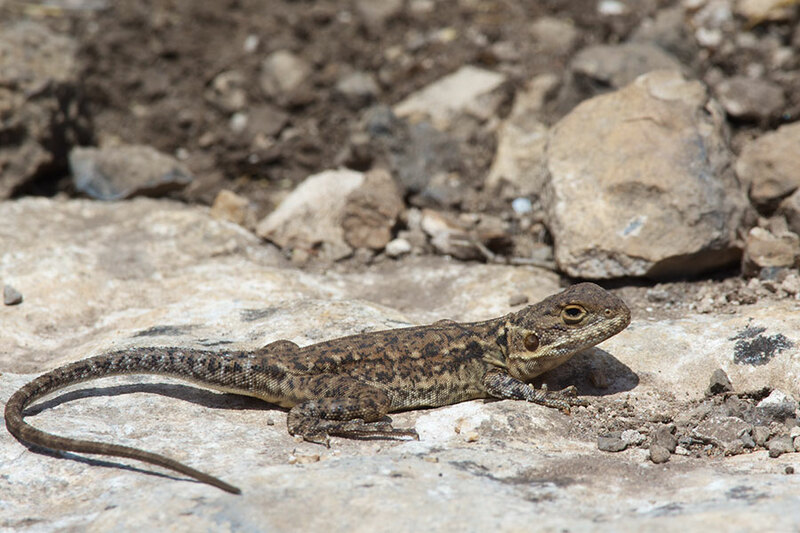 Painted Dragons (Ctenophorus pictus) also live in the general area, and are generally more ground-dwelling than Peninsula Dragons, so that's another possibility, though I haven't seen any photos of C. pictus that look particularly like these. Anyone know more? Thanks for any help. Looks remarkably similar to Ctenophorus pictus, I will have a peak in a book to double-check. Thanks -- I am starting to lean that way too. I dug up a photo of a pictus female from an older book ("Australia's Reptiles" by Wilson & Knowles) that looks quite similar. Also, the heads of pictus seem rounder (less flattened) than the heads of fionni, and these little guys have rounder heads. And pictus are smaller, and they are ground-dwellers rather than rock-dwellers, which also seems like a better match. Most of the photos I've seen of pictus are much more colorful than these, but I know pictus (and fionni also) are quite variable in coloration. If you find more evidence, such as photos of pictus that look like these guys, I'd love to hear it. I found a few more pictures that, while not exactly matching the patterns of the ones I saw, have pretty much convinced me that these are C. pictus. 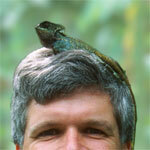 For example: http://www.ellura.info/Reptile/Dragon/D ... ictus.html. I think the first three are probably females and the fourth one is a male (due to the yellow on the head and neck and sides; it has just started shedding its skin so the pattern is mostly obscured). They all look like female/juvenile C. pictus to me as well. A colleague of mine has been studying a lab population of these for a while (albeit from central NSW) and these look exactly like them. I can check the most recent Cogger on Monday if you want. This site is usually pretty good for comparative images/maps, although it doesn't offer much in the way of keys. 'A Complete Guide to Reptiles of Australia' by Wilson and Swan is a great resource. It looks like you have a choice between C. pictus and fionni - which were already your two rule-ins. The first three sure look like pictus, though. I do have the latest Cogger and the latest Wilson & Swan. The problem is that they have only a couple of pictures of each of the two candidate species, and none of the photos look particularly like these; the texts mentions that there is a lot of variability in both species. The physical descriptions are not distinct enough to identify these individuals. The value to Cogger (and all such books) is not the photos, but the dichotomous keys. Always use those to identify difficult species. In Australia, there are a number of skinks, dragons, geckos, and even some blind snakes that you really can't identify positively without using a good dichotomous key. I'm not sure whether this is good or bad news, but you were right the first time, these are all C. fionni. The top two could be females or juvenile males, the third one looks to me like a gravid female, and the final one is a male. They are definitely not C. pictus as their heads are not round enough and the row of enlarged scales that curves under the eye is not prominent enough. I agree they don't look very dorsoventrally flattened compared to C. ornatus or C. vadnappa, but put one beside a C. pictus and you'd see the difference. 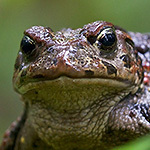 In C. pictus the head is basically as wide as it is tall. They also don't show pictus's pattern, which is characterized in part by black and white spots alternating down the vertebral line, as shown in the picture you posted earlier from ellura.info. Furthermore, at least two of those look like they were under rocks that you flipped, and pictus don't shelter under rocks. C. fionni is very variable across the Eyre Peninsula, and can look very different depending on location. I can provide more proof if you need it, but I don't have my books in front of me and can't remember all the specific details of the distinguishing features. If it suffices, know that I've looked at many, many individuals of both species and these are definitely fionni. This lizard was quite a bit larger than any of the four from the southern Eyre peninsula. It also has a considerably longer snout. And it has a reasonably prominent curved row of scales under/behind the eye. Though I guess this is more pronounced in pictus? 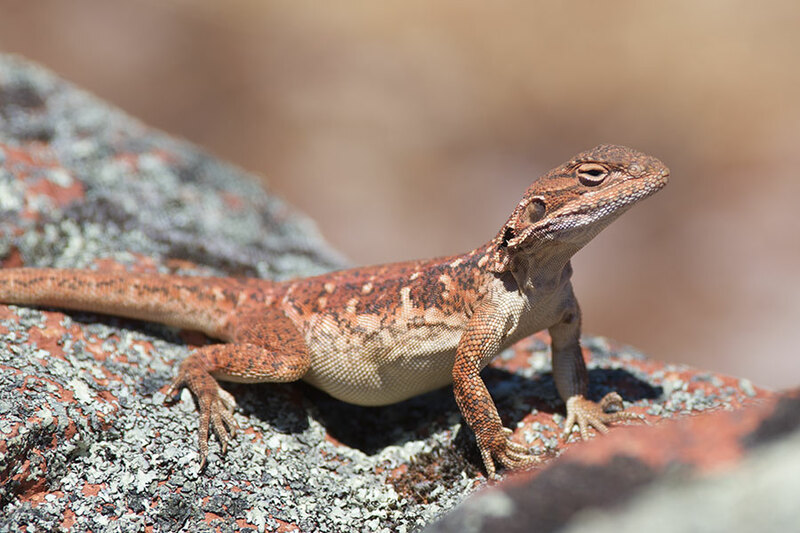 If the third lizard from the southern Eyre peninsula is a gravid female fionni, it is quite a bit smaller and with significantly different proportions. That's what made me think maybe it was just fat, and a juvenile. But maybe the different populations of fionni are significantly different sizes too? 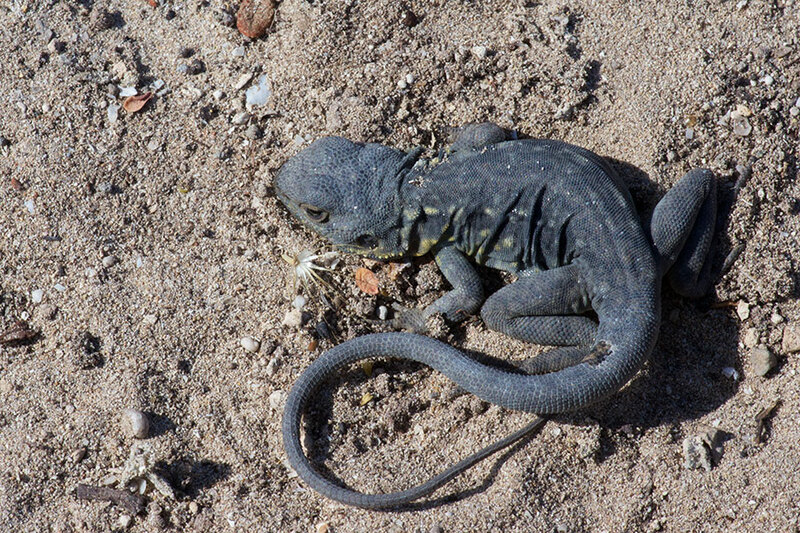 I was also curious about the tight tail-curl I saw on the southern Eyre lizards. 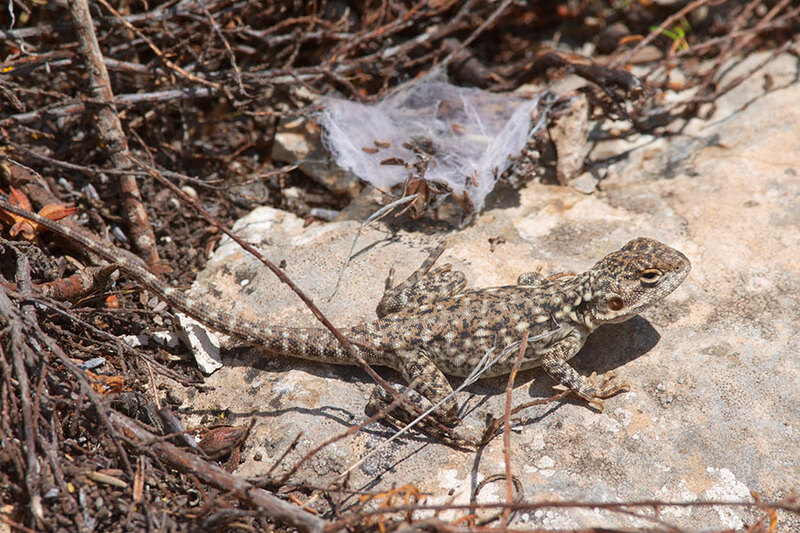 Mostly I saw this on lizards when I lifted their cover, but I also saw at least one individual go from straight-tailed to curly-tailed when it was fully exposed. I didn't see any indication of this in Gawler Ranges NP, so I thought maybe it was a habit of some species other than fionni. Have you seen that behavior before? Sounds like the individuals you posted initially are the southern form of fionni, from the general Port Lincoln area. Is that true? Lizards from down there are smaller than the central form of fionni, which is the one that lives in the Gawler Ranges and the one most commonly photographed in books (as far as I've seen). There are at least five described forms of fionni, which differ in pattern and body dimensions. I agree that your photo of a central fionni looks to have a longer snout than your southern fionni, but I can't find any data on that specifically. What I can tell you is that, based on what I've read, the legs of the southern form are shorter relative to the body than the central form, and I think people were mentioning relatively stubby legs? Also, the male you posted looks very similar in pattern to C. decresii, which is also a characteristic of the southern form of fionni. For a long time they were misclassified as C. decresii. The row of curved scales under the eye is the defining characteristic of the genus Ctenophorus. It's present to some extent on every Ctenophorus species, but is more prominent in some species than others. It may also vary in prominence between the C. fionni races, but I don't know. It's generally less prominent in the C. decresii group (to which C. fionni belongs) than other Ctenophorus species. C. fionni does wave around its tail in weird ways as a form of communication, but I don't know the details of the patterns or what they mean. That could very well vary with the different forms of fionni as well. If you happen to know of or come across a reference that discusses/describes this southern form, I'd love to hear about it. It's not easy to Google for because the type locality for the species is Pt. Lincoln, which messes up a search for "Pt. Lincoln Ctenophorus fionni", heh. Houston, T.F. 1974. Revision of the Amphibolurus decresii complex (Lacertilia: Agamidae) of South Australia. Trans. R. Soc. S. Aust. 98 (2) 49-60. Thanks for the reference, Dan! always cool stuff. Looking forward to more post. I'll get to that trip report soon(-ish)! I've got a set of photos picked out and semi-organized. Now "all" I have to do is the actually writing. Well done Daniel. Thanks for sharing your insights into these species and for taking the time to detail the distinguishing characteristics between them.